Description: Harmless. Smooth scales; uniform cream or yellow belly with no pattern. Upper body of adults uniform blue-gray, greenish blue or brown. Young have a pattern of large, light-edged blotches on back alternating with smaller spots on sides; pattern distinct on front half of body, but fades toward the rear. Young also have scattered dark speckles on the belly. As they grow older, young lose all patterns and attain uniform appearance of adults. 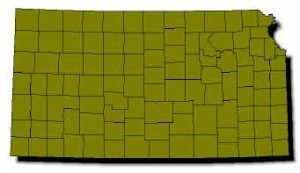 Habits: A snake of open grassland, pasture, and prairie during summer; generally found on rocky wooded hillsides in spring and fall. Spends day basking in sun or gliding over ground in search of food; average home range of 25 acres but not territorial. Five to 31 eggs per clutch, laid in June or July; incubation takes 2–3 months. 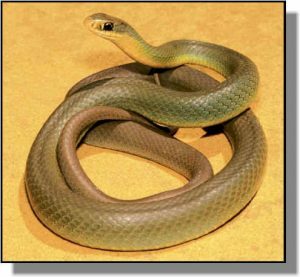 Pursues and eats insects, frogs, lizards, other snakes, birds, bird eggs and small mammals.